A.R.M.S., Inc. A.R.M.S. #63 Throw Lever® Riser Mount Combines all the features of the #5 with the #19!! Dual Throw Lever® riser mount. Quick detach mounting platform. Provides 3/4" of additional height for mounting optics with large objective lenses. 100% MADE IN THE USA. 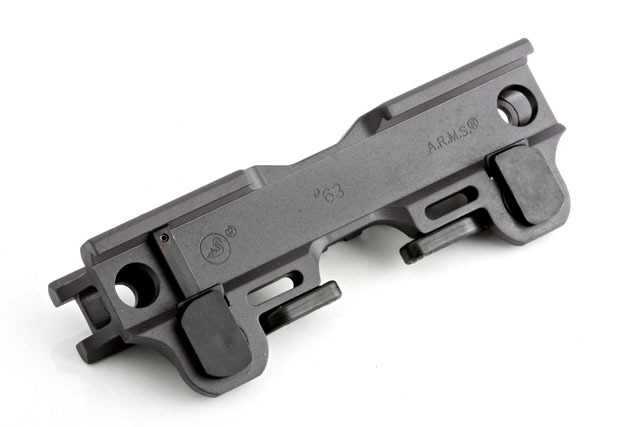 The #63™ is compatible with STANAG mounts and features a see-through channel for use with iron sights. Combines all the features of the #5 with the #19!! 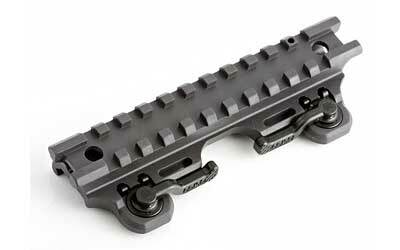 Dual Throw Lever® riser mount. Quick detach mounting platform. Provides 3/4" of additional height for mounting optics with large objective lenses. 100% MADE IN THE USA.